“Better to die than be a coward” is the motto of the world-famous Nepalese Gurkha soldiers who are an integral part of the British Army. They still carry into battle their traditional weapon curved knife known as the Khukuri.In times past, it was said that once a Khukuri was drawn in battle, it had to “taste blood” – if not, its owner had to cut himself before returning it to its sheath. The potential of these warriors was first realised by the British at the height of their empire-building in the last century. The Victorians identified them as a “martial race”, perceiving in them particularly masculine qualities of toughness. Bravest of the brave, most generous of the generous, never had a country more faithful friends than you Sir Ralph Turner MC, 3rd Queen Alexandra’s Own Gurkha Rifles, 1931. After suffering heavy casualties in the invasion of Nepal, the British East India Company signed a hasty peace deal in 1815, which also allowed it to recruit from the ranks of the former enemy.Following the partition of India in 1947, an agreement between Nepal, India and Britain meant four Gurkha regiments from the Indian army were transferred to the British Army, eventually becoming the Gurkha Brigade. 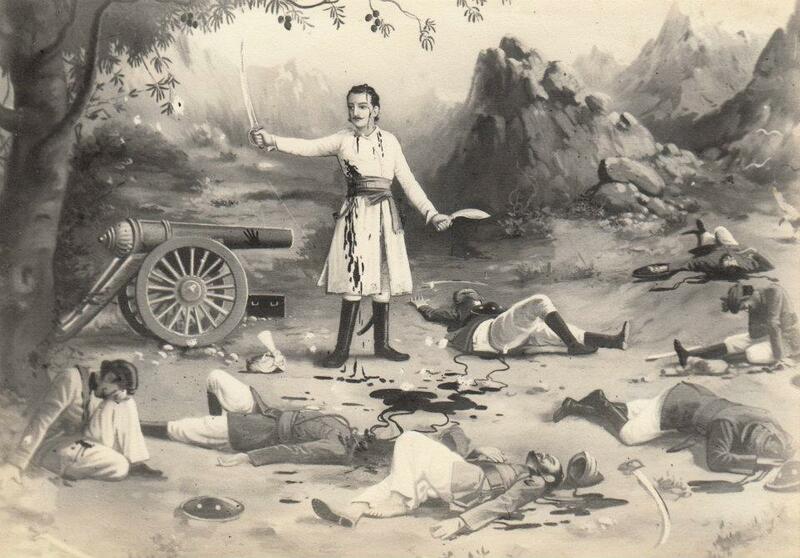 PIC: Balbhadra Kunwar on the Nalapani War. It is a medium-length curved knife each Gurkha soldier carries with him in uniform and in battle. In his grip, it is a formidable razor-shape weapon and a cutting tool. In fact, it is an extension of his arm. When his rifle misfires, or when his bullets have run out, a Gurkha unsheathes his Khukuri and makes his final “do-ir-die” run on the enemy in a fury to finish the business. This scene created the romance and the legends. 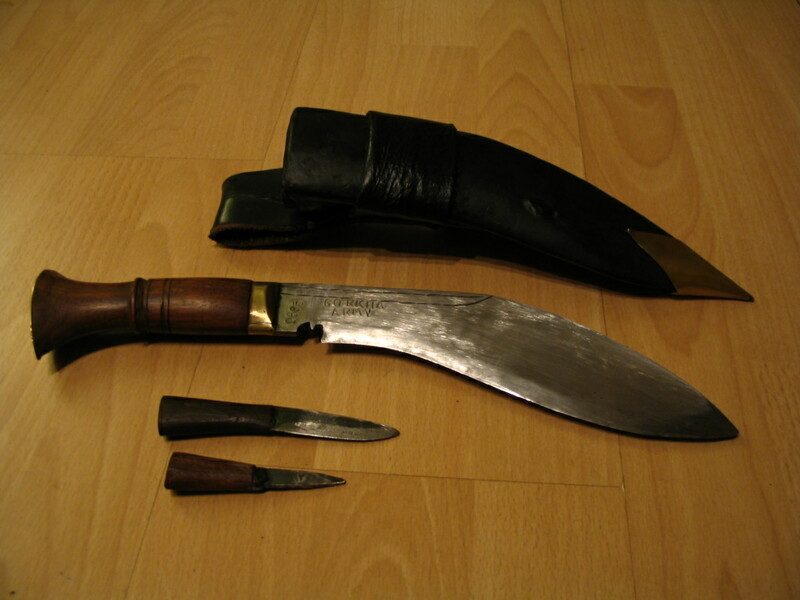 The Khukuri is carried in a wooden (often leather covered) stealth. Khukuri is the national knife of Nepal, originating in ancient times. It is all-purpose knife of the hill peoples of Nepal, especially the Magars and Gurungs in the west, and the Rais and Limbus in the east.The name and fame of khukuri is so exceptional and not only because it is one very efficient and excellent knife but the myths it carries within and its religious values have literally made this knife a true legend. 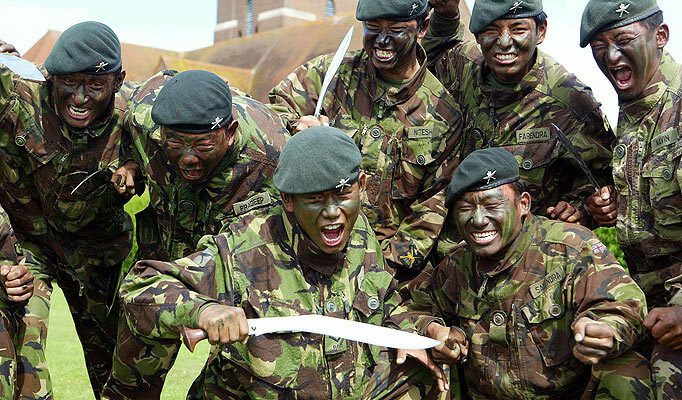 Nepalese are commonly recognized as Gurkhas because of their bravery and solidarity. Each and every Nepalese keeps Khukuri in their homes for the protection. iMartNepal provides various ranges of Khukuris to all Nepalese living in abroad. You can also buy Khukuri for decoration and protection.